Microsoft has today launched the Surface Book 2 in India and it is now available from Amazon, Flipkart as well as Reliance Stores, Croma and authorized retail partners across the country. Microsoft has brought both the 13-inch and 15-inch variants, with a total of 7 SKUs with different CPU, RAM, GPU and storage configurations. 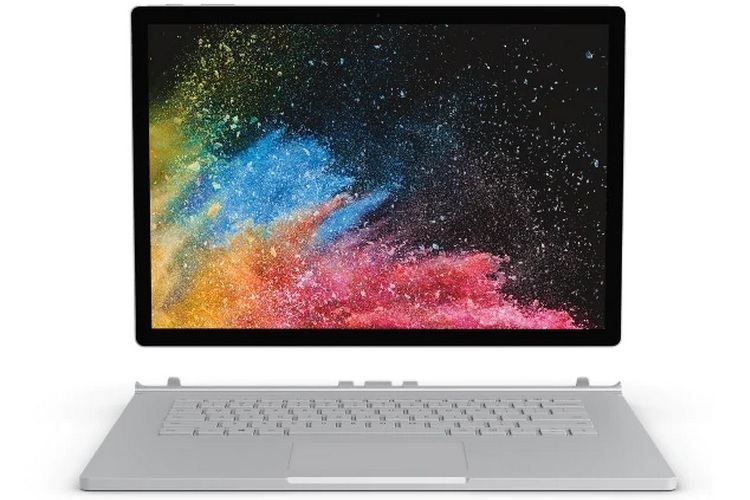 The larger Surface Book 2 model features 15-inch PixelSense display with a 3240 x 2160 resolution, while the smaller variant comes equipped with a 13.5-inch display with a 3000×2000 resolution, both of which have a contrast ratio of 1600:1 and 3:2 aspect ratio. Under the hood, both the devices are powered by the 8th gen Intel Core i7-8650U processor with 4.2GHz Max Turbo speed, however, Microsoft has also launched a model which comes equipped with a 7th-Gen Intel Core i5-7300U processor. In the graphics department, the i5-powered variant comes with an integrated Intel HD 620 GPU, while the Core i7-powered versions offer a choice between a discrete NVIDIA GeForce GTX 1050 GPU with 2GB VRAM and an NVIDIA GeForce GTX 1060 GPU with 6GB of graphics memory.